Of course there is no universally valid answer. 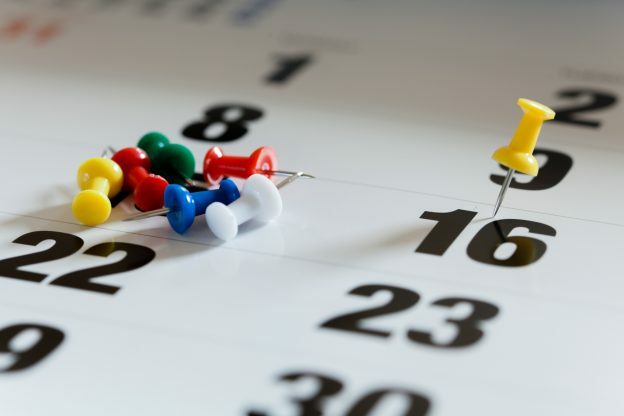 Below you may find arguments for and against scheduled appointments with customers, which are to be considered when deciding on the right approach for your business. You can expect to indeed encounter your customer in his office. You don´t throw your customers off their guard – which might be the case when you show up unheralded on their doorstep. Especially with more complex products (e.g. machines) it can be helpful, or even necessary, for your customer to prepare for the appointment. Scheduling your appointments with your client is a must, when they last more than one hour… nobody can spare an hour ad hoc on a normal working day. Don´t forget – some clients will only receive you if you have a scheduled appointment. For example dentists usually belong to this group. Making an appointment costs time, hence money. Whether in form of effort for your field force, an internal department or an external call center. You also have to take into account that with some customers you will have to call several times to get hold of them. In the process of making an appointment, e.g. via phone or email, it´s relatively easy for a client to turn you down . It is way harder to send someone away who is already standing in front of you. Fixed appointments interfere with an optimal route! E.g. you were planning to visit your customers in Atlantic City on Tuesday, but now a client in Manhattan asks for an appointment on the very same day. Scheduled appointments reduce flexibility in your customer relationship management! E.g. how do you fill a gap when you finish one visit earlier than scheduled? Co-ordination efforts with your customers are multiplying in case you have to re-schedule an appointment due to unpredictable events (e.g. traffic jam, preceding customer call takes more time than planned, illness, etc.). Generally speaking: The more customer calls per day, the less realistic is scheduling and keeping all of them. If you have more than five client appointments per day per sales rep, a flexible approach should be favored. Apart from the leading decision whether to schedule appointments in advance or not, many other parameters need to be defined. Does the sales rep call the customers himself or is an internal or external call center taking care of this? Or should the cusomers rather be contacted via email than phone? You may find answers to these and many other questions in our „Guideline for field reps: Make B2B customer appointments“ . Wheather to make customer appointments or not is a question each business has to evaluate individually according to the above criteria and ist B2B distribution strategy. portatour®, while accompanying more than 750 businesses in the process of launching route optimization, has identified a trend towards the middle ground: Making appointments with selected key accounts and planning all others customer visits dynamically. Thus you can ensure to give all your customers the attention they deserve and keep enough flexibility for your field force to use working time most efficiently and top-selling.